Don’t buy your child more toys they’ll outgrow or toss in a closet. Give a gift that lasts a lifetime; give the gift of financial literacy. 1 copy of "The Money Tree" story book. 1 copy of the "Saving With A Goal" workbook. 1 piggy bank (color of bank may vary). What a fun way to introduce basic financial concepts to your child! Teach kids the importance of money recognition, saving, earning, spending and sharing through interactive game play. During gameplay there is an additional incentive where your child will need to use their I would like to add a Financial Literacy Gift Set as the first product on the books page. the text should read: Financial Literacy Gift Set Don’t buy your child more toys they’ll outgrow or toss in a closet. Give a gift that lasts a lifetime; give the gift of financial literacy. 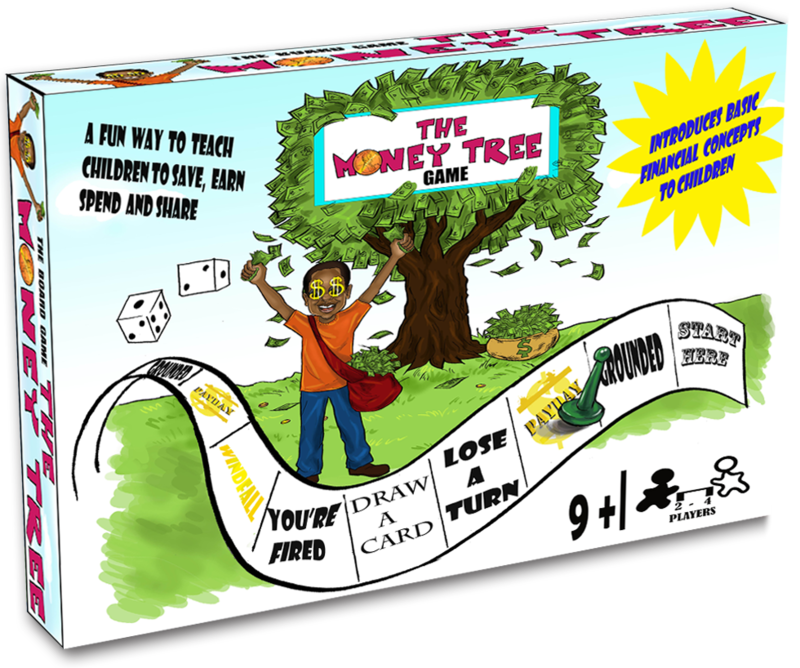 Set includes: The Money Tree board game 1 copy of "The Money Tree" story book. 1 copy of the "Saving With A Goal" workbook. 1 piggy bank (color of bank may vary). (The products should appear on the books page in this order. 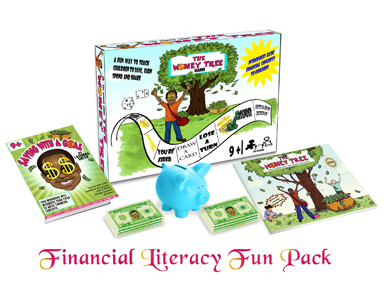 The financial literacy gift set The money tree book Saving with a goal book The Money Tree board game Mya Makes a mess critical thinking skills and make some tough spending decisions as they move across the board. As you may have suspected, the player with the most money saved at the end of the game wins. Game includes game board, 4 game pieces, die, paper play bills and game cards, and instructions. 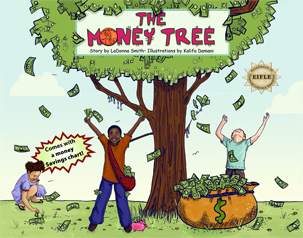 The Money Tree explains basic financial concepts and practices in plain and easy-to-understand language that children can comprehend and use in their day-to- day lives. The clear text and playful illustrations aim to simplify financial concepts like earning, saving, interest, the difference between needs and wants, and the joy of running one’s own business. To make the otherwise boring topic interesting, the concepts have been explained through small anecdotes accompanied with colorful illustrations to stimulate children and ignite a love of saving. Don’t you wish someone would’ve taught you about money-management concepts when you were young? 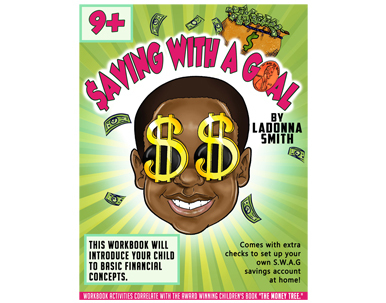 This workbook was designed to be used in conjunction with the award winning children's book, "The Money Tree". It provides over twenty practical activities to teach schoolage children, third-grade through sixth-grade, basic money management. Each activity was designed to enforce a key personal finance concept and provide an easy and fun way for children to learn about money management. Growing up can get really messy. Mya Makes a Mess is loaded with energy and humor to tickle your child's funny bone and remind parents that "making a mess" and "helping" are a vital part of your child's growth. This whimsical story and vibrant color illustrations remind children that the adults in their life love them - mess and all.